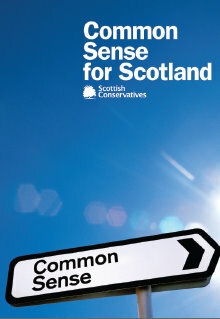 A belated publication of the SNP manifesto - these holidays do play havoc with blog posts - and as with the other posts a potted overview of the key elements relating to tourism. If there is one thing that I have gleaned from just going through the tourism related policy it must be that it exposes both the lie and the truth that is rolled out so frequently by politicians and tourism spokespeople in general that Tourism is the most important sector in Scotland. The "lie" would at first reading appear to be that if it is so important why is there not more tourism related policy in any of the manifestos and the truth is that whilst tourism plays a role in a large chunk of Scottish businesses there is very little that impacts and effects tourism in isolation and therefore not a lot that politicians can say about it specifically? Still with me? between now and the election itself we hope to expand on these thoughts further. 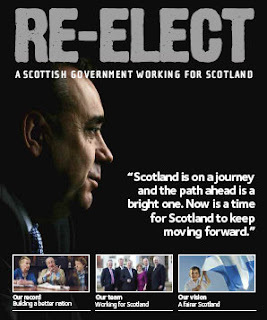 If as it looks the current SNP government may remain in power the hope would then be that the infrastructure changes that they outlined can be used to benefit tourism but the discussion that needs to be opened up for the future is not one of whether tourism is important or not but just what exactly could and should public money be used for in developing the sector. We've been as guilty as anyone in the past at rolling out such phrases as "tourism is every one's business" and to an extent it still remains true but for many - and this includes hotels, visitor attractions and golf courses amongst others - tourism is only a part of their business and for some a smaller part of their business than we maybe accept. Reality check time ahead for DMO's, public sector marketing spends, training and development programmes? If the SNP are going to be returned it would be so good if the rhetoric and soundbites could cease to be replaced by a grown up review of tourism and the wider hospitality sector in Scotland. specifically drawing visitors to Scotland to participate in our culture, experience our outdoors and enjoy the celebrations in 2014, the year in which the Commonwealth Games and the Ryder Cup will put Scotland centre stage in world sporting terms. We will further develop ancestral tourism, with a particular focus on family history. 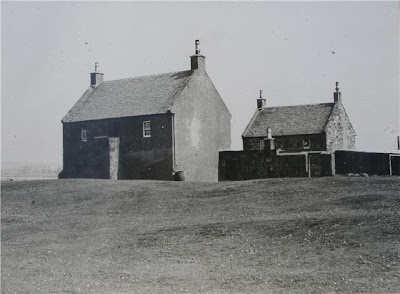 Scotland already leads the world in the services we offer to family historians and we will look to build on these foundations to draw even more ancestral Scots to our shores. And we will also put renewed effort into promoting cultural tourism. We will work with some of Scotland’s leading artists as part of a wider initiative to promote Scottish culture abroad; we want these cultural ambassadors to be part of our Big Invitation to the world to visit Scotland. And when tourists come, we will make sure they are aware of the wealth of cultural activity at both a national and local level. Scotland also has huge potential in the growing eco and activity tourism markets and we will continue our support for the expansion of these important sectors." Perhaps more interesting and relevant than the SNP pretending to be a Marketing and PR company is the commitment to improving infrastructure particularly in transport and digital. This future transport initiative will see the final £50 million invested in new projects across the country designed to deliver improved connectivity and innovation in transport. This part of the fund will focus on modal shift to help more Scots move to low-carbon and active travel options. It will support an enhanced roll out of the infrastructure we need to ensure a more rapid expansion of electric vehicles on Scotland’s roads. This investment will enable a step change for Scotland to ensure that in terms of connection and climate our transport network is fit for the future and playing its part in our move to a lowcarbon nation in the years ahead. As resources become available we will look to add to this fund and will encourage the various streams to take forward and support initiatives that generate income that can be reinvested to allow the benefits to be enjoyed by more people and communities across our nation. sector, to expand mobile and broadband coverage. Got back on Friday from VisitScotland Expo 2012 in the Aberdeen Exhibition and Conference Centre and on the drive back had a whole host of conflicting thoughts about how beneficial and effective it had been. The thoughts had at least partially triggered by the question asked by the ebullient VS Chair, Mike Cantlay, who must have bounced about the whole hall fired up on caffeine for the whole two days asking exhibitors how it had been for them and what could we do better. So both questions seemed pertinent and worth further in depth responses. As always seems to be the case it felt as though it hadn't achieved too much of the primary objective - generating business with the potential buyers - but scored highly in a string of secondary objectives that included positive networking with exhibiting businesses, product ideas from other exhibiting businesses and in all honesty a feeling of overall positivity to take forward for our own businesses. I actually therefore left the AECC actually feeling more positive and motivated than I had when I had entered. Well yes but many of the positives felt were unrelated to the actually reason for being there and if many exhibitors looked at it in the same way they may find the same. Expo remains in my mind one of the things that VisitScotland do best and should continue to do well in the future. The caveat however is that it is now time for change in execution and analysis of the goals and objectives. Here's my own personal thoughts based on what I did actually say to the Chair and his stressed PA at the time. We need to be more cost effective in how industry and public sector collaborations work. With the increasing (and potentially destructive) number of stand alone DMOs and sectoral bodies floating around Scotland (and "floating", as in little isolated unconnected bodies is deliberate) there is a need to be more focused and cost effective about how we do things. Is there really a need for a business to business Scottish Tourism Week to be held in March with a business to business Scottish Tourism Expo Week held in April? There seems to be a lot of common sense in bringing together the two largest B2B tourism events into a much more impactful joint slot. Surely if we can get broadband access into lampposts in the Western Islands (tired of the man to the moon analogy) we can create a much more effective and single Scottish Tourism Week that would then incorporate Expo, political debate, product development seminars, fam trips and product and industry awareness as a whole across Scotland. It would integrate the public and private sectors to a common aim and reduce the time spent away from businesses and in all likelihood increase industry participation across the geographic and sectoral spectrum. Is this beyond STF and VisitScotland to navigate towards? I would hope not. The current formula just does not fit and when the only people wandering around the show on the second afternoon are green badge wearing exhibitors (and of course the aforementioned VS Chair) then you know it is time for change. There is no single answer or offering here but open lateral thinking. An earlier start with sit down appointments as the Irish do with their event? Earlier finish in the afternoons to facilitate fam trips and networking events.Increase satellite events and discussions, workshops, marketing and product development seminars from both public and private sectors? The options are, whilst not endless, certainly many. I cannot believe that with the way the Internet has changed B2B buying and selling habits that the status quo for Expo is an option. For sure there are still brochure collectors who will fill their bags to bursting but the overall distribution of information and product knowledge has altered irrevocably and Expo needs to reflect the changing methods of matching supply with demand. It is a common statement at Expo at the end of day one that "tomorrow will be dead" as they're all way on fam trips/flying back home/completed their appointments. This clearly indicates that something is wrong with the structure of the two day format and that more effective options are required. This one annoyed me (and others) greatly at Expo. We have an increased online marketing team at VisitScotland.com charged with the task of improving the online offering of Scotland's tourism and hospitality offering; we have a government going on about greater digital promotion; we have continual criticism from the visitor about the limited (and chargeable) wifi access in our hotels. So what happens at Expo? What example is set? Well, the exhibitor and the buyer are discincentivised from promoting their digital offering because wifi broadband access is £20 per day. This is not about the cost this is about the statement we're giving out. The wifi access should have been freely available setting the example for the rest of the sector. Online is important we're constantly being told by everyone at VS and by social media gurus alike. So why are we not making the simple statement that it is also freely available and not something to be used to offset costs or contribute to the bottom line. How did we (not only VisitScotland but the exhibitors) utilise social media during the event? Facebook pages inviting comments live form the buyers? A blog featuring the aspirations and wants of the travel trade? YouTube interviews of the visitors expressing their delight at the variety of product options on offer? In short did we use the digital medium to anywhere near capacity. A rhetorical question. Yes it's a rant but for once it appears like a perfectly rational one. Oh yes and while ranting what about the effects of charging £30 a ticket for the Networking evening? The answer that will fly back is again one of cost. Agreed and fully understood but if it's a networking event it should be free; if it's a social event drop the pseudo business nomenclature and don't promote as a networking evening. It's never comfortable to say that a city is not the right place for Expo but someone has to say that Aberdeen is not the right place for this event. And for sure that will drive Aberdeen City and Shire councillors apoplectic but it remains a fact. The cost to the public purse of holding such an event must be a major, if not primary, factor in deciding a venue and it must be considerably more expensive to host like for like events in Glasgow or Aberdeen. A previous post/rant about hotel room prices for the event highlighted the cost to fellow exhibitors of accommodation in the city for the two nights of Expo. The cost to VisitScotland who pay for the buyers' accommodation must be similarly high. It was for sure the last time it was in the city. The arguments for hosting it in Aberdeen are understood but it doesn't make them right. The North East needs a showcase? Agreed. Scotland needs to show its wares but so does the West Highlands, South West Scotland, The Borders and the Northern Highlands. That however is not an argument for hosting Expo in Skye or Dumfries or Hawick. Those destinations must be showcased utilising the fam trips and promotional methods at our disposal not by taking an event to them for what some see as for political purposes. Aberdeen is a great city and business and tourism destination; the north east is an equal to any for golf, culture and quality accommodation. It's dining and local produce as good as any in Scotland. That should not however override the greater benefits of a central fixed location for Expo from which hub we can then have the spokes of regional destination showcasing. The SECC has, in a very personal opinion, consistently provided the best most cost effective Expo's in the past fifteen years. Tying a Glasgow based Expo within a wider Scottish Tourism Week makes even more sense in this locational context. 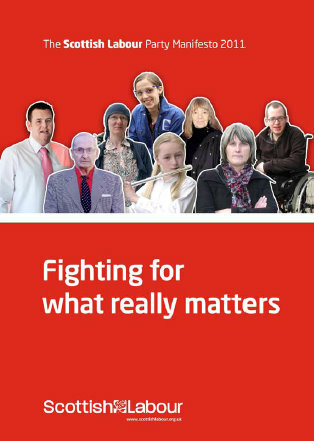 The danger in passing comment about issues such as these is that they are then taken personally by those involved in the process and that then undermines the relevance of the arguments being put forward. To reiterate VisitScotland manage this event as well as anyone could and their role in developing travel trade connections not only through expo but by ongoing press and fam trips is one of the roles that should in our opinion be beefed up. Improving product knowledge to the trade is important and will remain a short to medium term necessity particularly in nurturing new markets and regenerating old. But the measures of success are changing, the methods of delivery are changing, distribution channels are increasingly fast moving. Our offering as a country to the travel trade must move just as quickly and Expo with it. Bookassist, the online marketing booking engine, has this morning gone live with it's new free Suite of Bookassist Apps for Facebook which gives Bookassist hotels four separate Apps that are simple to install and use, and require no maintenance. Hotels across Scotland can now provide Online Bookings, Special Offers, Voucher Sales and Customer Reviews to your Facebook Fans from right within the hotel's Facebook Page! And because the Apps take information directly from the Bookassist Hotel Admin system, the hotels never have to worry about keeping your Facebook apps up to date - changes made in their Hotel Admin appear in Facebook immediately, just as they do on the hotel's own website. Simple to install, simple to use and for Bookassist Hotel clients, they can start using the Apps now for free. The Bookassist Booking Engine App for Facebook uses the same tried and trusted technology as Bookassist's popular Booking Engine for hotel websites and is just as feature-rich. Hotel's can boost their direct revenue by embedding the app in their Facebook Page and sell directly to their Fans. They can even have automatic Facebook Promo Codes appear so that Fans get special prices complete with secure transactions with multicurrency and multilingual capability, and maintenance free. Bookassist client hotels can also embed Special Offers directly into the Hotel's Facebook page with ease, and have them automatically updated when they change the details in the Bookassist Hotel Admin system. It's just like the special offers on a own hotel's website and it's automatically managed from Bookassist Hotel Admin - and the system allows display of Facebook-only specials for Fans. Hotels can install Bookassist Vouchers and now offer direct online and offline vouchers to their Facebook fans just as they can directly on the hotel's website! Hotels can offer vouchers for fixed prices (E-vouchers) or vouchers for specific packages to fans. E-vouchers for fixed monetary values can be redeemed directly online in the booking engine by recipients during booking. And last but not least, Hotel's Bookassist Reviews can be embedded in the Hotel's Facebook page. Bookassist's Booking Engine collects reviews from customers who have actually booked and stayed at the hotel and now those reviews can be shared directly on Facebook to show potential guests what previous visitors have said about the hotel, improve the confidence of potential bookers and thereby increase direct sales potential. If you're a Bookassist client simply contact Bookassist by email requesting activation of the Facebook Apps and the hotel will be able to accept reservations on their Facebook page within minutes - and it's all part of the Bookassist service. If you're interested in finding out more about how Bookassist can improve your online conversion give Bookassist a call on 01292 521404 or email them for their new product suite pack. 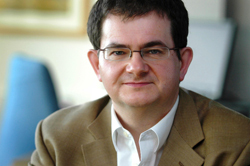 Scottish Tourism Forum are hosting a seminar at Crieff Hydro on TUesday 19th April chaired by Stephen Leckie teasingly entited "What Does The Future Hold for Tourism?" which will feature a presentation from former VisitScotland stalwart Ian Yeoman. "You are invited to a seminar with Ian Yeoman, Associate Professor of Tourism Futures. There will also be Question Time at the end of the Seminar, chaired by Stephen Leckie, Chair of STF. Delegates will have the opportunity during this to raise their questions to Professor Yeoman. "No golfer is an island." I think that was the saying was it not? Anyway the point is that whilst the reason for your visit to Ayrshire may well be world class links golf there is a whole lot going on in Ayrshire throughout the year from great wining and dining to a full calendar of events at Scotland's number one horseracing venue Ayr Racecourse. There's also a number of great festivals and events across the county. May sees the tenth anniversary of the Burns Festival with a range of music and cultural events taking place over four days so if you're in the area golfing you may want to take in a concert or comedy show in the evening. 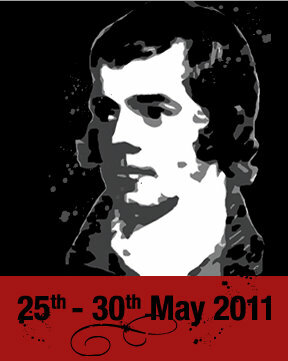 You can find out more at the Burns Festival 2011 website or check hotel availability for Ayrshire that weekend. And while you're at it as well as downloading your golf app for the courses you might want to brush up on your Burns Poetry and yes there's an app for that too... An iPhone app has been developed to allow enthusiasts around the world to download and instantly access Burns' poetry. The Robert Burns iPhone app is available from the iTunes store. It was the same the last time and it will be again but isn't Aberdeen bloody expensive for the hosting of a tourism conference. I can understand elements of the argument for taking the event on the road but in this instance it is outweighed alomost entirely by the negatives. Price being at this moment in time being one of the key ones. Like everyone else transport costs are becoming painful and Scottish travel trade operators are going to find it very much so as they head to Aberdeen. And yes I know that these are the issues that face the Highlands and Islands and the north of Scotland on a daily basis but that doesn't mean that we have to take the annual Scottish Tourism showcase where it is more difficult for more (not all) to get to and certainly more expensive once you get there. And the issue of room rates should hardly be a surprise to us all but the weighting of the cost to both the public and the private sector must surely be taken into account. From the public sector point of view it must cost at least 30 to 40% more to VisitScotland's budget to accommodate the buyers coming in compared to Glasgow room rates. For the exhibitor, that is the Scottish travel trade at large, the £1000 plus stand space can be doubled with two nights dinner bed and breakfast for two in a city centre hotel on Tuesday and Wednesday of next week. Look at the screengrab for an out of town three start property. Yes times may be tough just now and we all have to maximise the opportunites for revenue when they arrive but this is a tourism event, the hoteliers know it's a tourism event and yet they will raise the prices to more than double the charge for the Friday night. I realise that there are a whole load of reasons and many of them good for taking the show on the road but the cost of doing this business should in future be one of the key priorities. We can perhaps reflect on this as we sit in the traffic jam on the bypass having left the AECC at 5pm on Thursday evening. Just gone through the Scottish Liberal Democrats Manifesto for the Scottish Elections and while there's no section dedicated to Tourism there is much to say about development of culture, sports and interestingly the strcuture of the future body looking after tourism marketing under their leadership. Replace VisitScotland and Scottish Development International with a new body – Scotland International – to promote Scottish industry globally, and promote Scotland around the world for tourism, creativity and research. This will promote Scotland better, helping tourism and exporters to grow. Arts and culture currently contribute at least £5 billion to the Scottish economy. A thriving creative sector provides jobs and economic benefit in its own right. Yet its wider impact is greater still. A thriving arts and cultural movement improves the quality of life and acts as an attraction for inward economic investment. Establish a Creative Industry Fund within Finance Scotland for near-to-market creative companies or products and ask Regional Development Banks to work with the creative industries in their areas to capture the benefits of economic spin-offs of local cultural events. Continue to support the Edinburgh Festivals Expo during the next parliament to make sure that Scotland gains long-lasting benefit from internationally renowned cultural events. Maintain free access to Scotland’s national museums. Step up efforts to engage with the 2012 Olympics to make sure that Scotland benefits from an inspiring UKwide sporting event and cultural Olympiad. Build the partnerships necessary to ensure that a cultural and sporting benefit comes from Glasgow’s staging of the 2014 Commonwealth Games. Make the most from the tourism potential of the 2014 Ryder Cup. Support 2014 as a second year of homecoming for those people around the world with Scottish ancestry. Make sure that Scottish public agencies are able to support online genealogy to help encourage a global interest in Scotland. Support Gaelic medium education where there is demand and promote the language in cost effective ways. Support Scotland’s valuable video games industry, with greater emphasis on the development of computing and artistic skills throughout the education system, closer working between the computer science industry and Scotland’s schools, colleges and universities and more professional development for lecturers. We will work with business to introduce a new schools competition to engage young people in the industry and support their career choices. Support the expansion of creative collaborations and initiatives through a super-fast broadband network across Scotland. The opportunities for Gaelic language teaching and learning, online music tuition and community broadcasting are examples. Encourage greater investment in quality Scottish network productions and regional programming. The following is lifted verbatim from the Scottish Conservative Manifesto published on 4th of April. Comments are more than welcome. The tourism industry is vital to Scotland’s economy and visitor spend is currently around £4.1 billion a year. It provides employment for roughly 210,000 people, spread all over Scotland. revenue from Scottish tourism by 50 per cent over ten years. We are now past the halfway point, with zero growth. If Scotland is going to remain a major player, we believe that it has to compete on quality, not price. That means getting skills right, getting investment into the industry and getting a year-round strategy. and the skills offered by applicants. Investment is needed to improve the fabric of the industry, yet many tourism businesses are struggling to raise finance at the moment. So we will investigate the viability of a Scottish Tourism Investment Bank, based on the Austrian model. We will lead development of a “Year-Round Tourism Strategy”. This will help ensure that tourism businesses make a continuous contribution to their local economies and will make employment in the industry more stable and rewarding, which will in turn raise the calibre of entrants and encourage the retention and development of staff. We will retain the number of Tourist Information Centres (TICs), although encourage premises-sharing with other organisations. We will ensure all TICs provide Scotland-wide information to encourage tourists to travel throughout Scotland. To encourage more visitors to come to Scotland, we will aim to establish an EU compliant successor to the Air Route Development Fund. encouraging visitors to take advantage of a whole host of tourism opportunities across Scotland. We will place a formal obligation on Historic Scotland to promote tourism across Scotland.